X. Though the above arguments are sufficient to silence gainsayers, and to produce a rational conviction that the Scriptures are of divine original and authority, it is only the effectual application of them to our mind, conscience, and heart, in their SELF-EVIDENCEING DIVINE LIGHT and POWER, which can produce a cordial and saving persuasion that they are indeed the word of God. But, when thus applied, this word brings along with it such light, such authority, and such sanctifying and comforting power, that there is no shutting our eyes nor hardening our hearts against it; no possibility of continuing stupid and concerned under it: but the whole faculties of our soul are necessarily affected with it, as indeed marked with divine evidence, and attended with almighty power; 1 Thes. 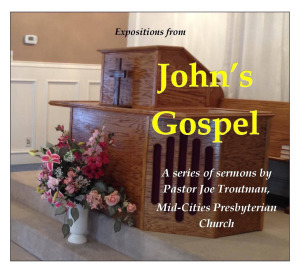 1:5; 2:13; John 6:63. 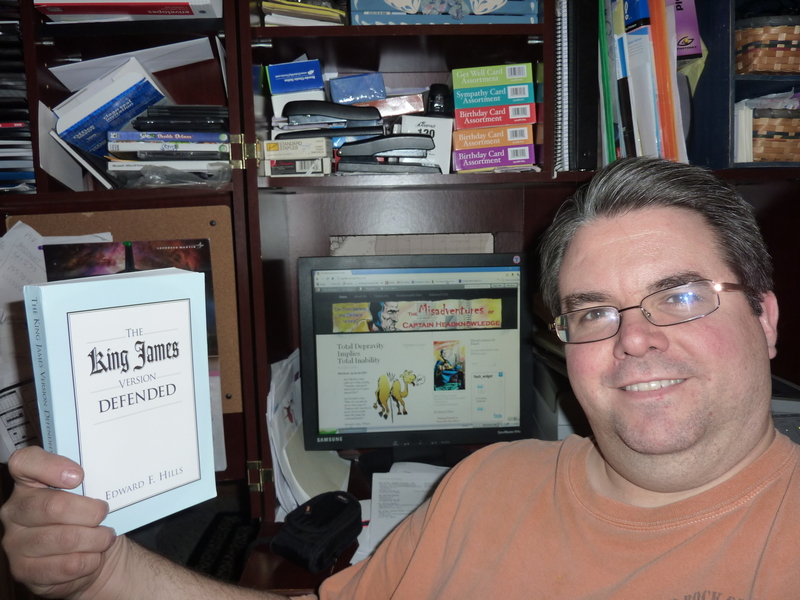 I am of two opinions regarding Patterns of Evidence: The Exodus by Evangelical filmmaker Timothy Mahoney. A product of his crisis of faith upon learning of the lack of archaeological evidence for the biblical Exodus event, I see Mahoney’s documentary as popularizing the contrarian view of two British scholars regarding the standard chronology of Egypt’s history. I also see it as demonstrating the weakness of what is known as evidential apologetics. On the other hand, there is a place for giving the consensus of skeptical scholarship a run for its money. That’s exactly what this film tries to do. It was promoted on politically conservative talk shows, like that of my personal favorite, the Roman Catholic Bill Bennett (listen here), and two Jewish conservative pundits are featured in Mahoney’s work: Michael Medved debates a Rabbi who denies the historicity of the Exodus account in the documentary, and Dennis Prager steals the show on a typical Fox News panel lead by Fox personality Gretchen Carlson. Fox religion analyst Father Jonathan Morris, female evangelist Anne Graham Lotz and pop-scholar and humorist Eric Metaxas round out the panel. This panel seems stacked specifically for the purpose of briefing the viewers on the apologetic virtues of challenging the consensus, while admitting the lack of conclusiveness in the alternative view presented. Supportive statements by evidentialist apologist Norman Geisler and Archaeological Study Bible editor Walter Kaiser further embolden the apologetic appeal of the documentary. John Bimson and David Rohl have been challenging the status quo on the chronology of Egypt for years. Bimson’s work reaches as far back as 1978, when his book Redating the Exodus “proposed that the end of the Middle Bronze Age provides the best matching evidence for the biblical Conquest and that the dates assigned to this period should be substantially revised.” His day job is that of Old Testament Ph.D. Tutor at Trinity College in Bristol, England. Egyptologist and Author David Rohl’s work is much more recent. His books contain disputed claims that counter the consensus on the chronology of ancient Egypt and Palestine. He’s also produced a TV documentary called Pharaohs and Kings: A Biblical Quest. Much is made of Rohl’s agnosticism, intended to lend credibility to his controversial work. In his documentary, Timothy Mahoney first of all appeals to the notion that real science looks for patterns of evidence, hence the title, and portrays six stages of Israel’s time in Egypt as the pattern which must be watched for in the Egyptian chronology. If I recall correctly, these stages are Arrival, Multiplication, Slavery, Judgment, Exodus and Conquest (I’m a terrible note-taker!). The consensus view is that Israel resided in Egypt during the era known as the New Kingdom (circa 1550-1069 BC—comprising the 18th-20th Egyptian dynasties). A primary reason for this era being supported by the consensus is the fact that Raamses reigned during this era, and one of the store cities Scripture says the Israelites built is called by his name. “Therefore they set taskmasters over them to afflict them with heavy burdens. They built for Pharaoh store cities, Pithom and Raamses” (Exodus 1:11b). The problem is, this pattern of events in the biblical account of Israel in Egypt has not been uncovered in the New Kingdom excavations. Bimson and Rohl counter that the Scriptural name for the city is an anachronism because it was the name of the city at the time of the writing of the book of Exodus, rather than the actual name of the city the Israelites in fact built. The later name, they assert, would have been given to help the original readers of Exodus to locate the city. Plausible enough. They also look to impressive findings which date back to the Middle Kingdom (circa 2125-1773 BC). The ancient city of Avaris is chief among these findings. The site where the city of Raamses was excavated, which Scripture states the Israelites built, contains no evidence of Semitic peoples living there. However, the Middle Kingdom city of Avaris was dug up under the New Kingdom city of Raamses. In this lower site, artifacts and structures reflecting Syro-Palestinian culture are found. There is even a tomb which Bimson and Rohl and others suggest may have been the tomb of Joseph for various compelling and dramatic reasons. Appeal is made to a document called the Ipuwer Papyrus, which contains writings which Egyptologists conclude is referring to the destruction of Memphis during the Old Kingdom, but wishful thinking Bible believers want to believe is an account of the plagues which preceded the Exodus. A number of other similar finds which predate the New Kingdom which most skeptical and believing scholars believe is the legitimate time of the biblical Exodus are pointed to as being consistent with each of the six stages of Israel’s Egyptian residency. Don’t get me wrong. I do believe the biblical account of Israel’s stay in Egypt is historical. I do believe they were enslaved, that there were plagues which judged the gods of Egypt and that the Israelites indeed engaged in an exodus, a forty year sojourn in the wilderness and the conquest of Canaan. I am simply suspicious of efforts like this to popularize contrarian views which attempt to find positive evidence of every major event in Scripture. While it is true that much evidence consistent with the Old Testament’s historical narratives has been found, not everything has. I am persuaded that what has been found is sufficient to make a legitimate case for the historicity of the Bible in general, and even sufficient enough that we can trust that events like the Exodus truly happened despite the lack of tangible evidence. Such may indeed surface one day, but we must not rush to judgment about every superficial similarity and make more out of the evidence than may legitimately be made. The point is, our faith in the historicity of the Bible should not rest finally on the ground of sufficient archaeological evidence. It should rest on the self-attesting unity of the books of the Bible as an anthology of writings by various authors writing centuries apart from each other, which yet brought together reveal the history of God’s covenantal relationship with and redemption of his chosen people, those who share the faith of their father Abraham, a unity and consistency of which the Holy Spirit bears witness in our hearts (1 Corinthians 2). I just thought I’d share the video of one of my favorite podcasts, if you’ve got the time. The flagship podcast of the Reformed Forum media network is the weekly program, Christ the Center. Hosted by Camden Bucey, a doctoral student at Westminster Theological Seminary in Philadelphia, Pennsylvania, who is often joined by a panel of other students, Christ the Center features interviews of authors and theologians, as well as discussions among the panelists themselves. While accessible and engaging, these guys are not afraid of dealing with the technical and academic aspects of Reformed theology, but I know everyone will find something that will benefit them. Last week on “Renewing Your Mind with R. C. Sproul,” three lectures on Postmodernism were featured which provide introductions to how this contemporary approach to reality affects philosophy, society and Christianity. These were originally delivered at the 2007 Ligonier Ministries conference called “Contending for the Truth.” You can purchase this conference on DVD, CD or mp3 downloads at this link. The following video by Reformed Baptist apologist, Dr. James White of Alpha and Omega Ministries, applies some critical thinking skills, and with a small amount of research, shows how inaccurate and naive Rob Bell is to perpetuate the common skeptical theories about how many aspects of the gospel of Christ are based on pagan mystery religions. He makes several very helpful remarks that will fortify your defense of the reliability and historicity of the New Testament accounts of Christ. Dr. White posted this video here. You may also benefit greatly by any of his other 512 videos uploaded to his YouTube channel, DrOakley1689. Pirate Christian Radio podcaster Chris Rosebrough treated this same Nooma video by Rob Bell back in July of 2009. His Fighting for the Faith podcast episode was called, “Deconstructing Rob Bell’s False Gospel.” Rosebrough goes into a lot more detail, but both provide fascinating presentations of the sloppy scholarship of the skeptics, and the fact that answers are out there which support the authenticity of the New Testament. Every Christian who interacts with unbelievers needs to prepare himself with these answers so that he might give a sound defense of the hope that is within him with gentleness and respect (1 Peter 3:15). White/Moorman KJV Only Debate on YouTube! Two and a Half Hours Until the White/Moorman KJV Only Debate! 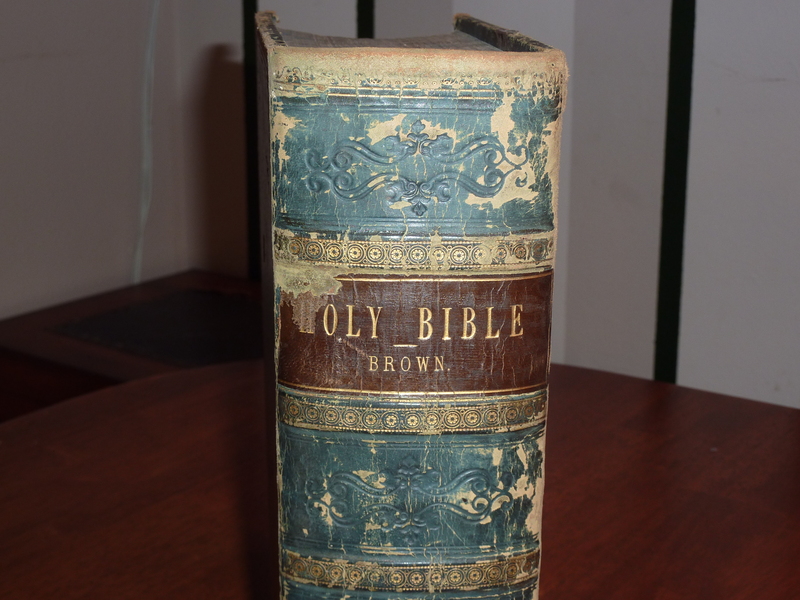 How appropriate that during the year of the quadricentennial of the King James Version of the Bible, a debate on the question of King James Onlyism should be held. Reformed Baptist apologist Dr. James White of Alpha and Omega Ministries is just on his way to London, England. RevelationTV in London is hosting a debate Wednesday night at 9pm GMT (if I’m not mistaken, that should be 3 pm CST), between Dr. White and Dr. Jack Moorman, an American fundamentalist Independent Baptist missionary in England, pastoring Bethel Baptist Church, Wimbeldon, London. 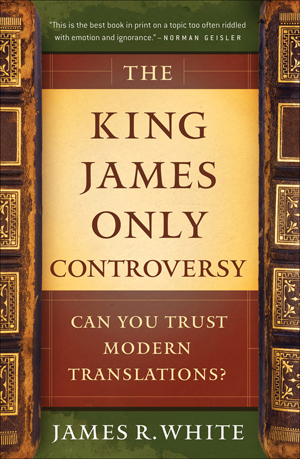 The subject of the debate is, “Should we exclusively use the King James Version?” To my knowledge, it has been quite a while since a KJV Onlyist has stepped forward willing to debate Dr. White, author of The King James Only Controversy: Can You Trust Modern Translations? This should be good. Dr. White never disappoints.